Uber Malaysia is expected to partner up with 10,000 drivers over the next 12 months, The Star reports. “It’s a realistic target, and we’re very confident that we can reach this (number),” said Leon Foong, general manager of Uber Malaysia. The move may seem a tad too ambitious at first but with Malaysia tagged as one of the fastest growing Uber-using nations in the region, the idea doesn’t seem all that far-fetched. Foong added that the aforementioned target was, in fact, a minimum number to ensure that there were enough cars to serve Malaysian consumers in Kuala Lumpur, Johor Bahru and Penang. The firm is currently mulling over the idea of expanding its services into Kuching and Kota Kinabalu. Additionally, Foong has stated that the company has been widely misunderstood, particularly its business model. In response to the recent protest against Uber by the Metered Taxi Drivers Action Committee (BBPTB), Foong clarified to theSun that the firm was more of a technology company that works with transportation providers and not a transportation company per se. “We basically utilise our technology to empower our drivers to grow and expand their fleet while matching passengers with their ideal transportation providers,” added Foong. As a result, Foong hopes that Uber will be able to forge a clearer working relationship with the Land Public Transport Commission (SPAD) to establish regulations that will enable it to continue its operations smoothly. When drafting regulations, Foong stressed on the need to focus on public safety and interest aside from the money-making aspect of it. This would ensure that consumers are provided with a safe, reliable option whereby one has access to transportation wherever and whenever it is needed. But of late, I’ve been getting a lot of C segment cars under UBER Black.. (which previously was normally D segments) Which is a disappointment. The thing is, the user does not get to choose which car or driver or rating before confirming the ride. Hopefully UBER can improve on this so that highly rated drivers get more calls, and as incentive for other drivers to improve. On times that I do get an exemplary service from Black, the driver does get a tip for the ride. But on the whole, UBER service has been very satisfactory. Ok and I will be joining !!! Uber should help their driver to get appropriate permit to operate without problem..
i want to join in too as a Uber driver in near future but how to register??! spongewai-just download uberpartner in Playstore. Fill in ur info, Uber will call you for confirmation. With this bold headline from Uber, the local taxi drivers will first faint that the sheer size of the Uber fleet followed by street fights between them and the Uber drivers. Uber should also limit their cars to Toyota only for peace of mind, in case you get some kimchis and break down on the road. What about the recent news of UBER drivers and their cars being seized? And possible sentence of 1 year of jail time and/or with a RM 10,000 fine? I would really like to join Uber but with all these recent news I am worried! Government sets the rules to protect both drivers and passengers. Any company or person can be a booking service outfit or a taxi driver. Government helps to deserving citizen can be with properly designed insentives. I was especially dependent on Uber when I was in Ho Chi Minh City, a city with terrible taxi drivers. Riding on uber save my day, I don’t need to worry of the fare and dishonest drivers. I intend to join Uber driving my own car. 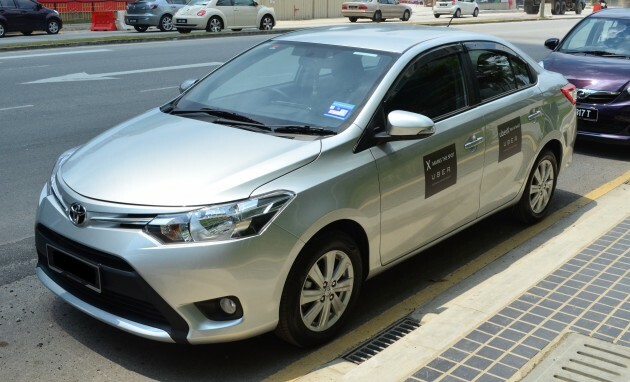 What model is more suitable : Toyota Vios or Avanza ?